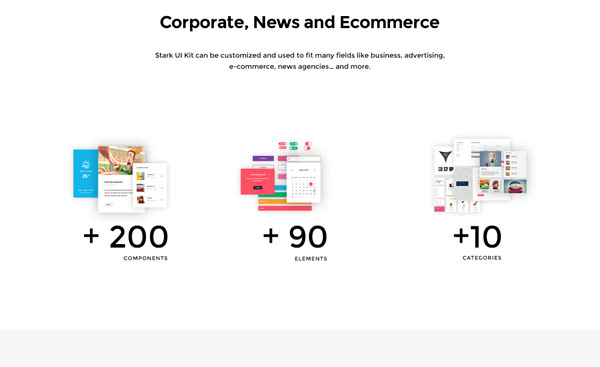 Today’s free design resource is a complete UI kit for your web design projects.This UI kit is designed and released as a freebie by Baianat. 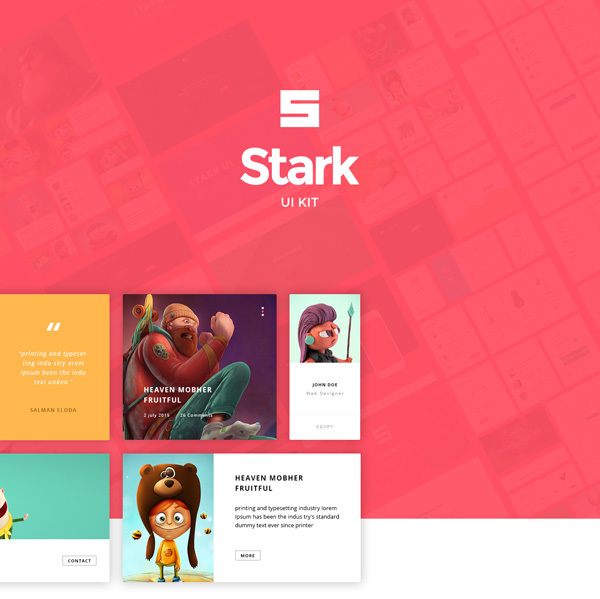 Stark UI Kit has many UI components that can be used and customized to meet all of your needs with their sleek attractive designs.Stark UI Kit is designed to also fit Right to Left direction languages like Arabic language, so, it can fits any global culture. 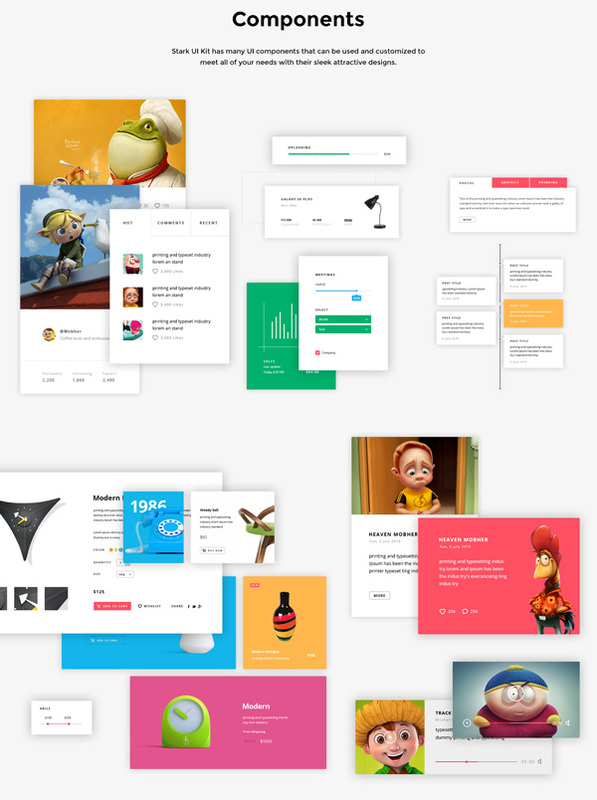 This UI PSD kit comes with 200+ Components, 90+ Elements in 10 categories.